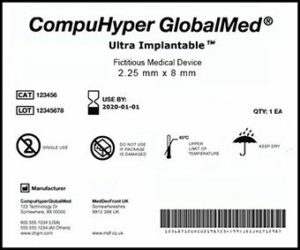 With UDI (unique device identifier) labeling making major headway, medical providers and facilities throughout the United States need to adjust accordingly. While this identification system has come a long way in a short period of time, it’s far from complete (more on this below). A device identifier (DI). This is used to identify the labeler as well as the device model. A production identifier (PI). This is used to identify one or more of the following: the serial number of a device, the lot number of a device, the expiration date of a device, the manufactured date of a device, and the identification code of a tissue, cell, or tissue based product. As it is costly and time consuming for the medical industry to make wholesale changes the UDI labeling helps manage through changes. Upon final rollout, the Unique Device Identification System will provide a variety of benefits to medical professionals, medical facilities, health care systems, consumers, and the industry as a whole. More accurate reporting of adverse events as to identify problems and make corrections in a timely and efficient manner. The reduction of medical errors. More efficient device analysis due to a standardized system. A system that will allow healthcare facilities, manufacturers, and distributors to pinpoint and manage device recalls. An effective strategy for preventing the use of counterfeit devices. Although many compliance dates have come and gone, there are several other key dates in the UDI final rule. Any class II device that requires a UDI must include a UDI permanent marking if it is to be used more than once and reprocessed before each use. The packages and labels of class I devices must include a UDI. Data associated with class I devices must be submitted to the GUDID database. Any class I device that requires a UDI must include a UDI permanent marking if it is to be used more than once and reprocessed before each use. Despite the many benefits of UDI labeling, it’s been difficult for some providers and facilities to get on board with the changes. Fortunately, once all requirements are met, the benefits show through in many ways, such as improved patient safety and a higher level of service.